An aviator's journey continues ... Changing the world one word at a time. "We are the protagonists of our stories called life, and there is no limit to how high we can fly." Type rated on A330, B747-400, B747, B757, B767, B737, B727. 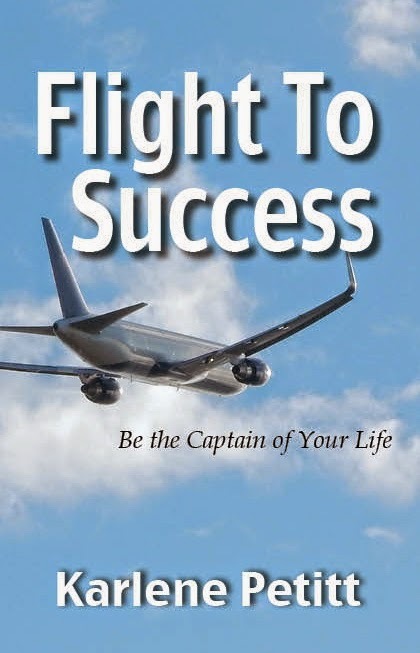 International Airline Pilot / Author / Speaker. Dedicated to giving the gift of wings to anyone following their dreams. 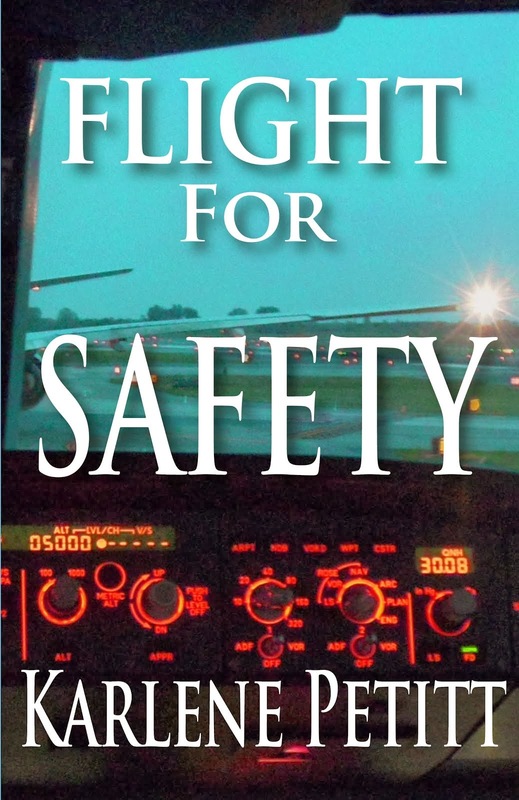 Supporting Aviation Safety through training, writing, and inspiration. 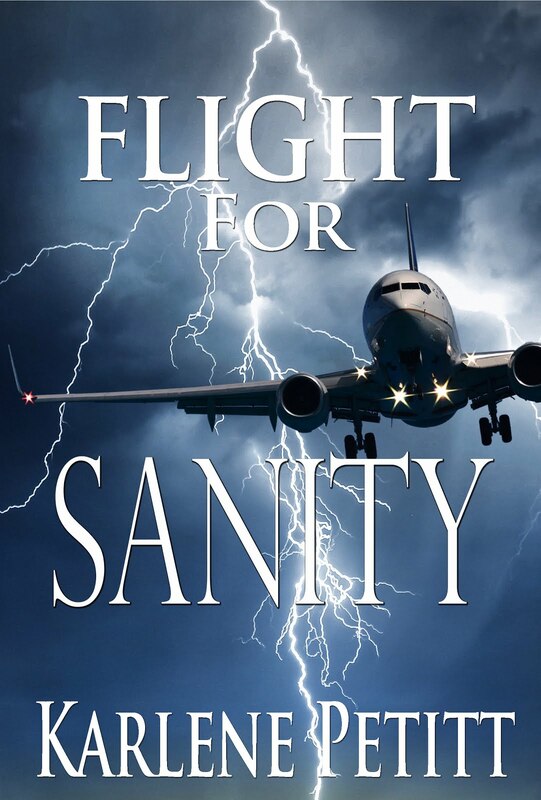 The unspoken truth of how airlines remove pilots for reporting safety, calling in fatigued, using too much sick leave, or suggesting improvements for safer operations... As it turns out calling a pilot crazy is more effective than firing them. If a pilot is terminated unjustly, they have legal rights to return. However, if they are deemed unfit to fly, they have no rights. It doesn't matter if these pilots never lose their medical certificates. 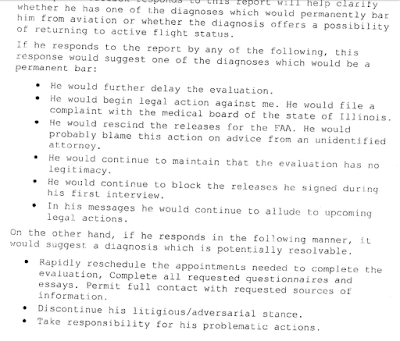 If the airline pays a doctor to create a diagnosis, then the airline will not allow the pilot to return to flight status. Some will get jobs at other airlines at half the pay and at the bottom of the seniority list. Others spend every penny fighting for justice. Some are forced into an alcohol rehab program, whether they are an alcoholic or not. One would ask why anyone would do such a thing? That is the million dollar question. The answer could be simple as, a sociopath in power. 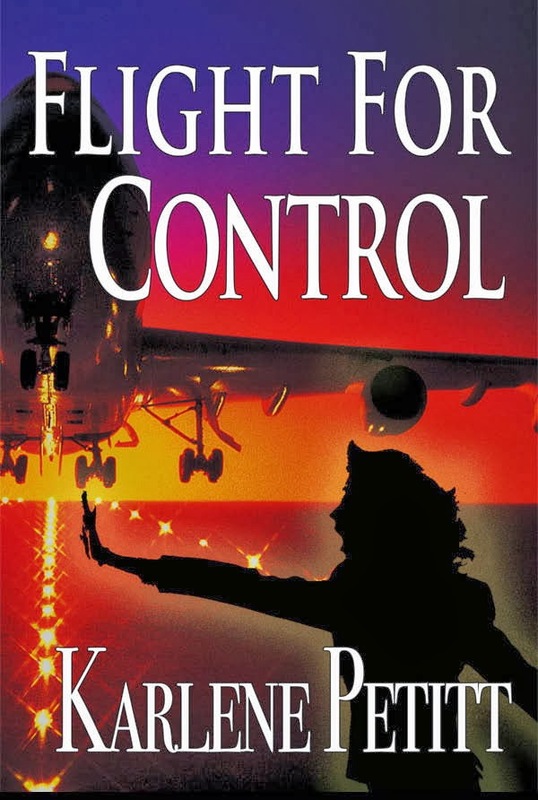 This book, however, is on the medical side of this retaliation of how doctors are paid for creating a false diagnoses to remove an airline pilot. Many months ago I posted a passage from a medical report created by one of these doctors. Clearly extortion is written all over this page. 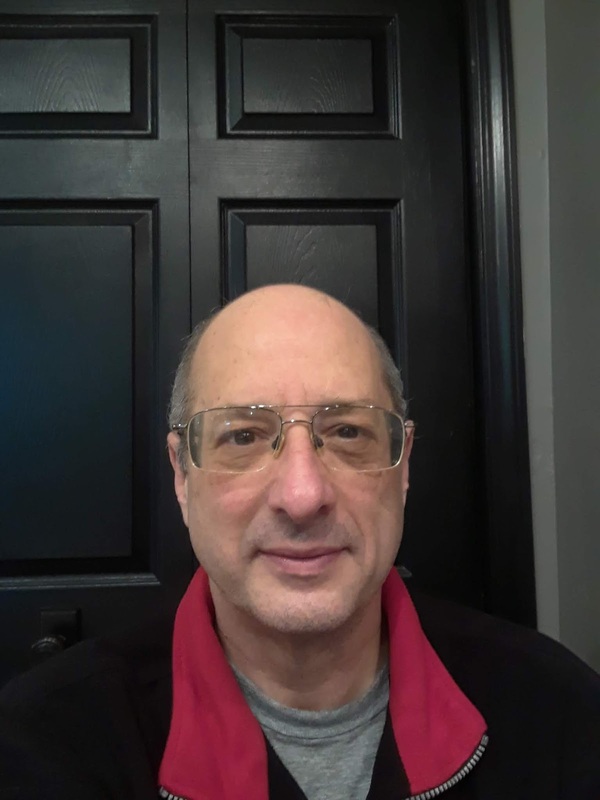 This doctor tells the pilot that if he contacts an attorney, files a complaint with the medical board, rescinds the releases he initially signed, or continues to allude to legal action that he would be found mentally unfit. 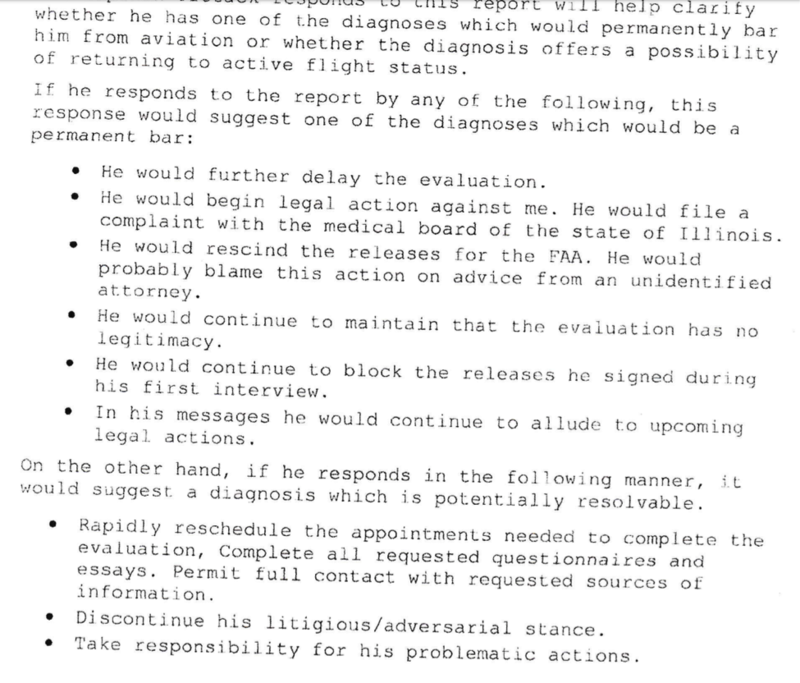 However, if he drops legal action there might be a chance of a favorable diagnosis. 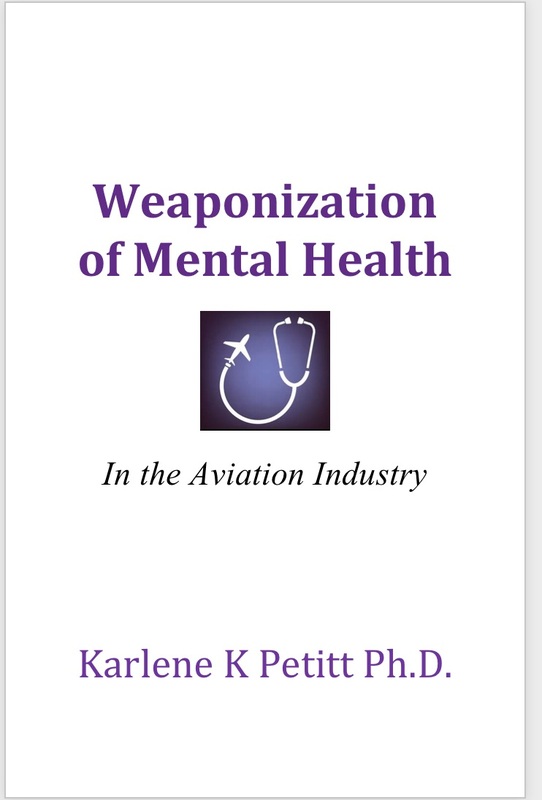 I also learned that the doctor who wrote the above report for one pilot, received close to $74,000 for a mental health examination of another. To put that in perspective, the average evaluation is closer to $3,300. This doctor went as far to tell pilot on Christmas Eve they would never fly again, despite notifying the company two months earlier. He has destroyed numerous lives over the course of his career. Sadly he is not alone, as there are other doctors just like him. Can we stop these doctors? Sometimes good news does prevail. After numerous calls to the medical board, and a half a dozen reports on the same doctor, a lengthy investigation prevailed. There was enough information identifying this doctor to have unethical behavior to send the investigatory report to the "controller." The controller held this report for 9 months due to workload, but when he evaluated it, he too saw a problem and sent the doctor to the disciplinary board. Last week, the disciplinary board agreed with previous recommendations, and they sent him to the medical prosecution board. This next phase will take another two months, but the system is working. While this will not get the lives back that this doctor has taken, it will prevent him from harming anyone again. The next question is, if a doctor loses his license and prosecuted for taking money with intent to do harm and fraud, what will they do with the organizations that paid these doctors for his false diagnoses? As this doctor, and others are officially prosecuted, I will post their names. If anyone has been harmed by one of them, these pilots may have recourse to open up their case to be revisited. 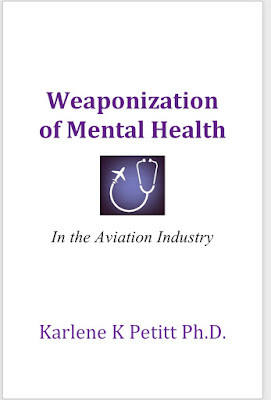 For those who have been subjected to a mental health evaluation for reporting safety, calling in fatigued, or being forced to fly unfit, you have rights under the Wendell H. Ford Aviation Investment and Reform Act for the 21st Century, known as an Air 21, the whistle blower law. Please know that forcing someone into a mental health evaluation is considered an "adverse action" in the eyes of the law. If you need help, contact Lee Seham to learn the laws of protection, as you only have 90 days. Stand by... this story is not over, and the book is in underway. Be Grateful for the Opportunity! 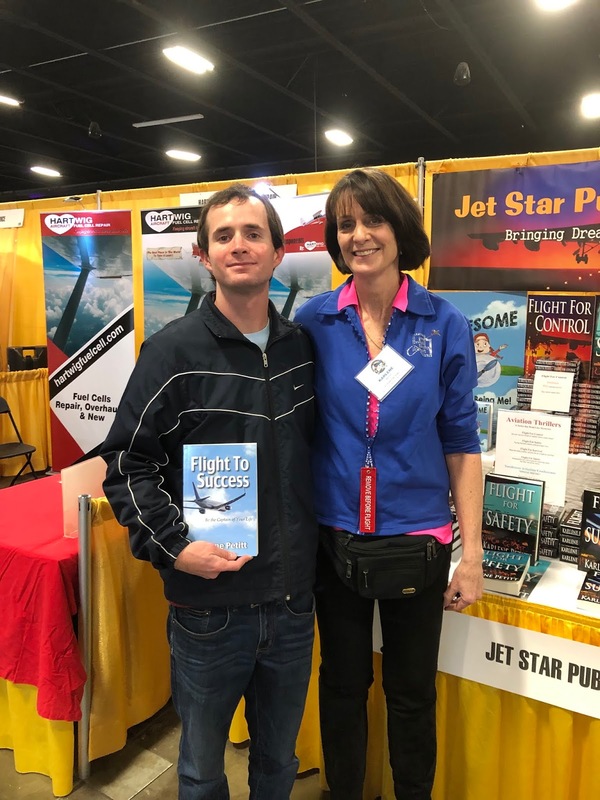 Last weekend I was at the Northwest Aviation Conference selling books. But more than selling books, this is a time to meet and talk with aviation enthusiasts of all kinds. 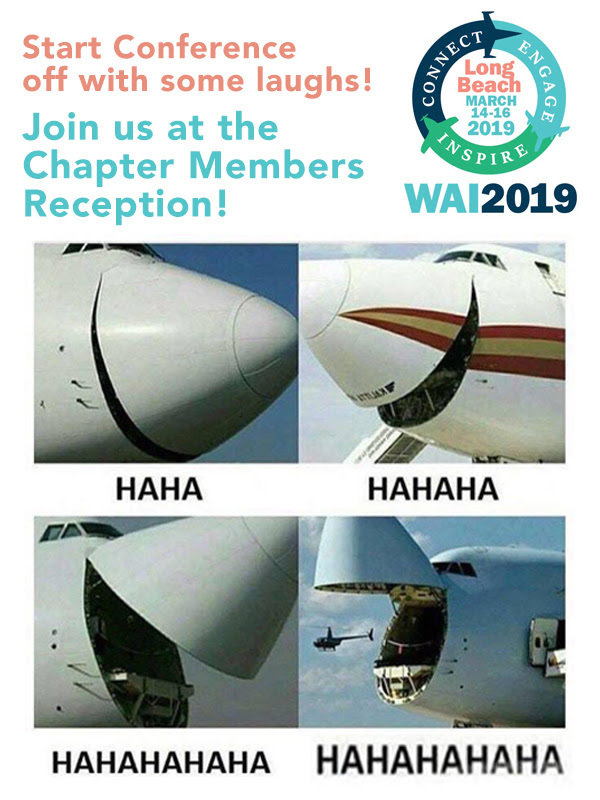 Sharing the love of aviation. Connecting with others. Sharing experiences. I have always been one to believe that we can do anything if we work hard enough, want it badly enough. Others may tell us no, but we can have the power to accomplish our dreams. Until I met Ruslan. 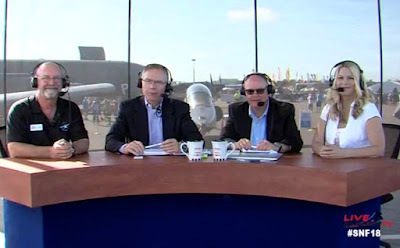 Ruslan was at the conference because of his love of aviation. He wanted to be a commercial pilot more than anything. I was then asked by his friend to please tell this delightful young man why he could not be a commercial pilot. Ruslan is deaf. He cannot speak. 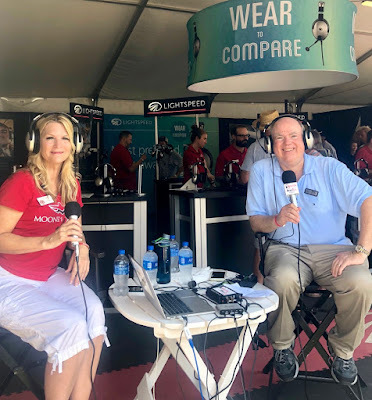 I explained to him the many reasons we had to talk on the radio to be a commercial aviator. This was all translated by sign language by one of his friends. It broke my heart to meet someone with such passion, and I had to destroy his his dream. I gifted him a copy of Flight To Success. I know Ruslan can find another dream. He too wanted to be a pilot and went as far to get his pilots license, and then learned he was colorblind and could not fly commercially. The moral of these stories is a reminder to be grateful for all the gifts we have, even those we take for granted, such as our eyesight and hearing. And for whatever fate befalls you and changes your course in life, find a new course. Life is short. Be grateful for every moment, and remember to live it to the fullest! "A Canadian musician from Halifax named Dave Carroll recently had difficulty with United Airlines. Dave spent over 9 months trying to get United to pay for damages caused by baggage handlers to his custom Taylor guitar. During his final exchange with the United A/L Customer Relations Manager, he stated that he was left with no choice other than to create a music video for YouTube exposing their lack of cooperation. "We have a cockpit mock-up in our house. When I mention to my wife that I miss flying, by being retired, she puts me in the mock-up around bed time for 8 hours.She has a chair in a closet, puts on the vacuum cleaner to simulate cockpit air noise, has a dim nite-lite to simulate cockpit lighting, serves luke-warm chicken with cold vegetables on a tray. When I get sleepy and attempt to doze off, she knocks twice loudly on the door to simulate the F/As entering the cockpit. Then after 6 hours she turns on a flood light directly in front of me to simulate the sun coming up when approaching 20 west. I then get a cup of coffee that has been in the coffeemaker all night. Finally she lets me out and I have to get in the back seat of her car while she runs morning errands to simulate the bus ride to the hotel. When we get home I tell her I am ready for bed and the bedroom door is locked for an hour to simulate the hotel rooms not being ready. When I promise to never "complain" about being retired, I am allowed to enjoy my "layover" and go to bed. Oh, and one more thing, she talks to her friends loudly outside the bedroom door to simulate the hotel maids chattering in the hall in their native language. After two hours of sleep she calls the phone next to the bed from her cell and says "this is crew scheduling, you are non-routine!! !, vee vill calla-you back vhen you have legal minimum rest." and "by the way the company has filed for bankruptcy today. Sleep tight honey." 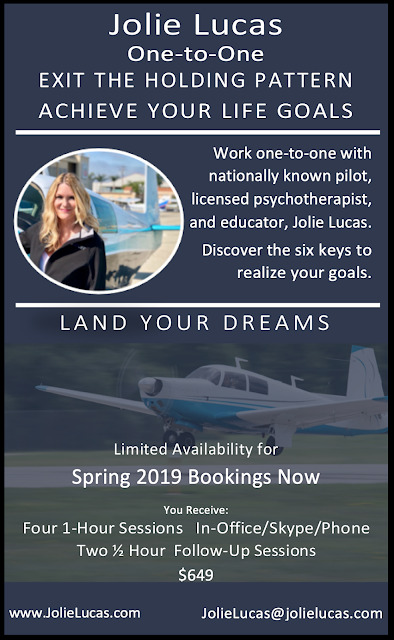 "
Jolie Lucas is a Mooney owner, licensed psychotherapist, and instrument rated pilot. 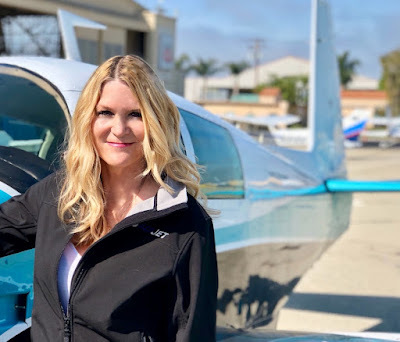 She is the Founder of two grass-roots general aviation service groups: Mooney Ambassadors and the Friends of Oceano Airport. She is the Director and Executive Producer of the documentary: Boots on the Ground: the Men & Women who made Mooney©. Jolie can help anyone reach their life goals! 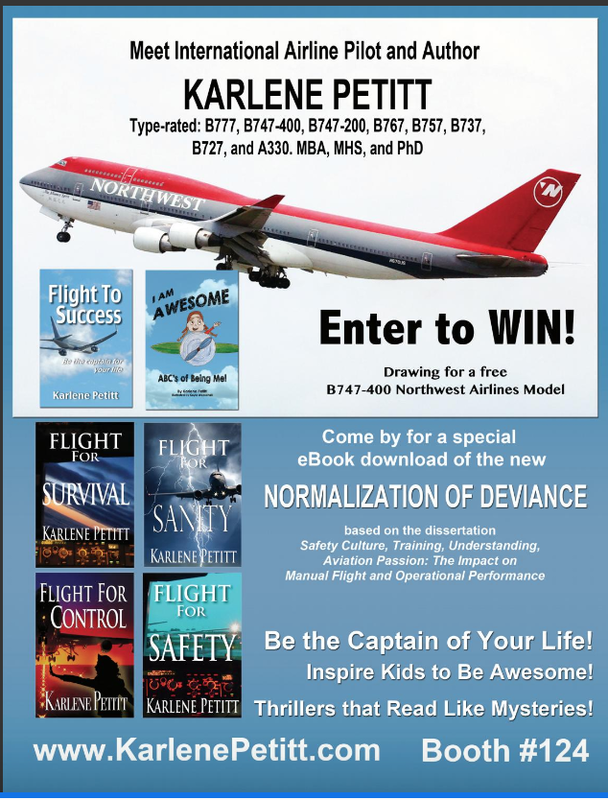 She is an aviation educator and writer. Jolie would love to hear from you! "Much like flying an actual hold, there comes a time in every pilot’s career where an honest assessment of skill, safety, performance, desire, and goals needs to be made. Are you one of the many pilots that are stuck in the hold, unable to complete your aviation goals? 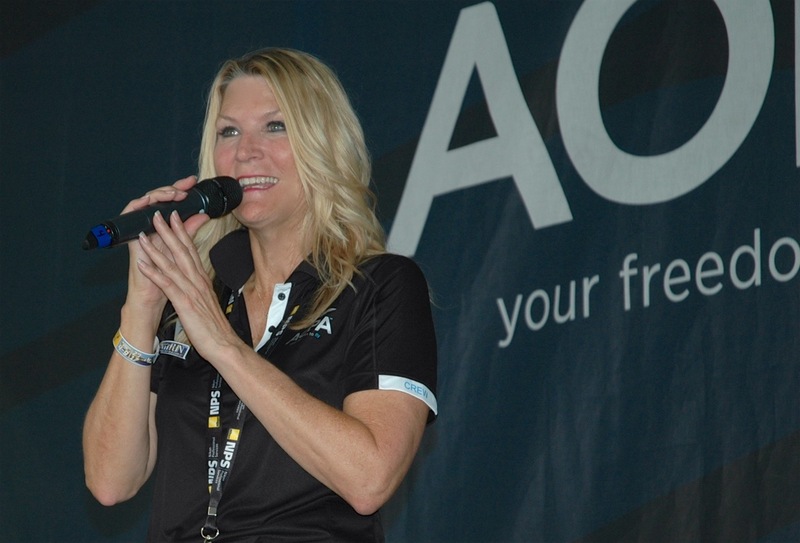 Jolie Lucas, discusses the six keys to exiting the holding pattern and reaching your goals. This fast paced, multi-media presentation explores human factors, brain science, and personality in decision-making, motivation, and follow-through. 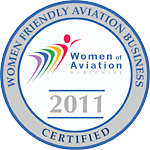 The seminar is sure to inspire you to exit the holding pattern and move forward in your aviation goals." Refreshments. WINGS credit. Fly-In Fuel Discount. May You Find Love in your Heart! 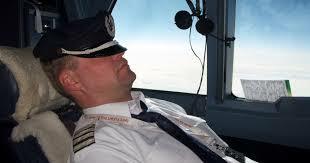 Pilot fatigue is a challenge due to the nature of the business that creates an operational challenge. 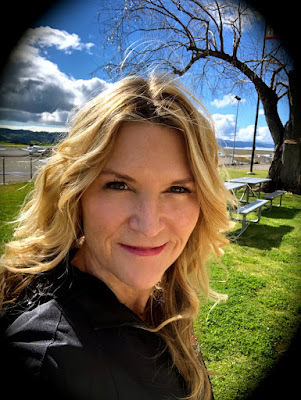 During my research I received many comments from pilots who wished I had presented fatigue questions on the survey, and that research will be forthcoming. However, I recently came across an article by Susan Sawatzky that is well worth the read. "How Fatigue Affects Worker Safety Let’s begin by examining how fatigue fits into the world of OSH. Fatigue can create a significant hazard in many workplaces because of the way it affects a worker’s ability to safely perform job duties. Fatigue can impair workplace performance in four key areas. 1) Alertness: To notice or react to changes in a work environment; to remain vigilant. 2) Emotional stability: To remain emotionally calm and stable when dealing with critical situations. 3) Mental ability: To remember, think clearly, make decisions and communicate. 4) Physical ability: To perform with adequate reaction times and overall coordination. Short-term effects of fatigue can lead to significant safety hazards as the worker’s ability to safely and effectively perform work is impacted. 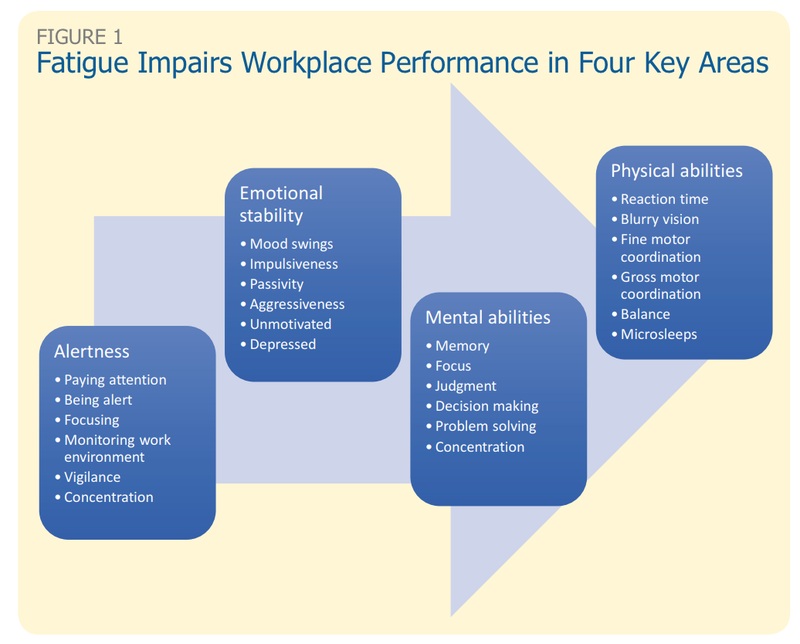 Figure 1 presents examples of physical, mental and emotional effects of short-term fatigue. OSH professionals can use findings from occupational research on fatigue’s impacts to create a strong business case for the need to address"
This is a great article for employees everywhere! "Hello folks, this is First Officer Jerry Frost on the flight deck to give you our position and arrival time into Seattle. For those of you on the left side of the airplane in just a few minutes you’ll have a great view of one of the Pacific Northwest’s great Mountains – Mt Ranier. Just a few highlights of this majestic beauty: it’s 54 miles southeast of Seattle, WA. It is the most topographically prominent mountain in the contiguous United States and the Cascade Volcanic Arc. With a summit elevation of 14,411 feet Mt. Rainier is considered one of the most dangerous volcanoes in the world, and it is on the Decade Volcano list. Because of its large amount of glacial ice, Mt. Rainier could potentially produce massive lahars that would threaten the whole Puyallup River valley." "As the years go by, I often look back fondly at my fortunate childhood growing up in a Michigan beach house, the son of a pilot, on the edge of hilly forest a half-mile north of the Indiana border. 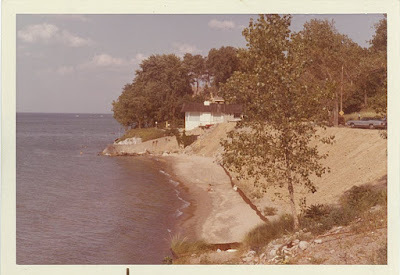 Our family lived there because my father, a pilot since age 16, operated a nearby general aviation business. My childhood and teenage years were filled with many flights in a variety of aircraft including Beechcraft Bonanzas, Barons and Queen Airs, Piper Cherokees, Apaches and Navahos, Cessna Centurions, 3-10s and 421s, among others. I often took the copilot seat next to my father, and loved the excitement of takeoffs and level flight, approaches and landings. During these flights I was taught the essentials of keeping the aircraft in the proper attitude, ADF and DME navigation, and turning technique. On a few occasions, he purposely put the plane into a stall to demonstrate stall recovery. Dad was a great pilot. He flew everything from Piper Cubs to Lear Jets, able to adapt instinctive flying skills to just about any airplane. Flying a DC-3 remained one of his most treasured piloting experiences. 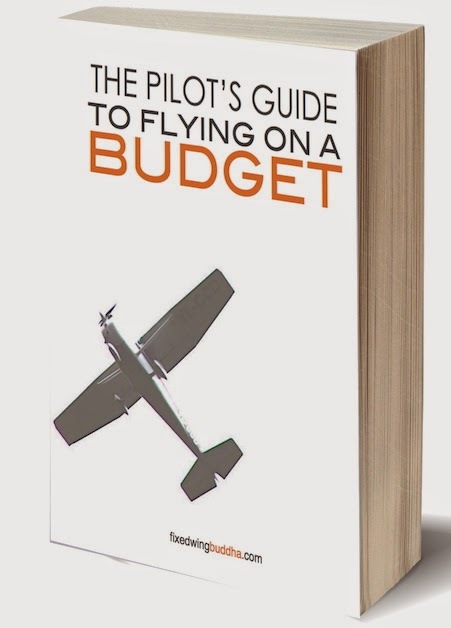 Besides his smooth three-point landings, judging crosswinds on final approach and weather awareness, after flying many hours with him I came to regard one thing as the essential characteristic of the consummate pilot. He never got bored, never became complacent. Even during several consecutive hours of level flight in the most optimal conditions, he always maintained a constant state of mental alertness. The pure joy of the thing he most loved to do seemed to sustain him in a state of sublime engagement. Three kinds of adventurous life existed for me during my youth: one on the ground, another on the water, and one in the air. On land and water, I still sought airtime. A few friends and I would climb to the summit of a tall nearby sand dune, take a running leap and land in a splash of sand 40 feet down the steep incline. Carving a sharp turn on a slalom ski, I’d hit the boat wake at high speed and lift off for a couple of seconds, clearing the far wake. The woods of my village, called Michiana, provided tall trees with reachable solid limbs ideal for climbing high into the canopy. But nothing quite matched the adventure and freedom of flying. From 8,000 feet up, I saw that the country was largely made up of green and brown squares of land interspersed by forests, lakes, farms and the occasional town or city. 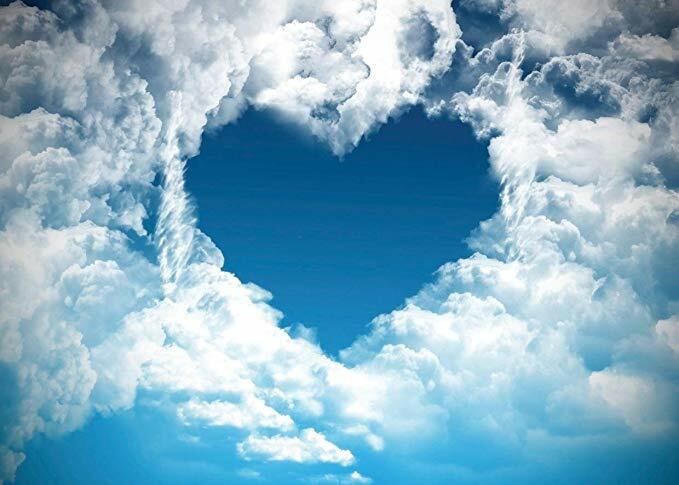 I learned the various cloud types and their characteristics, from the volatile Cumulus Nimbus to the feather-like Cirrus. The hum of the engine never bothered me. It reinforced the notion, that yes, we really were flying. Along the Michiana beachfront, lake gulls demonstrated great flying expertise, negotiating wind currents, banking and diving for the occasional fish. During autumn, with the beach crowds long gone, a 15-foot wide swath of brown sand near the water became flat and hard—a perfect runway! 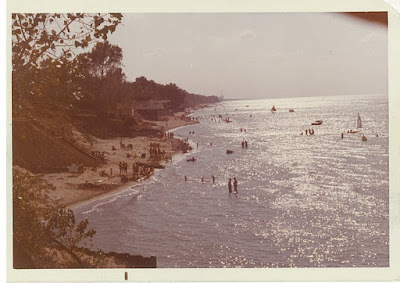 My father landed a Piper Cub on the compact sand and took village kids for rides. Later, on a flight across Lake Michigan, the right engine of my dad’s twin-engine caught fire midway across the lake. Faced with a choice of continuing toward Illinois or turning around, he gently turned back toward Indiana where there would be more landing opportunities. For years afterward, I thought he had crashed-landed in an Indiana soybean field. 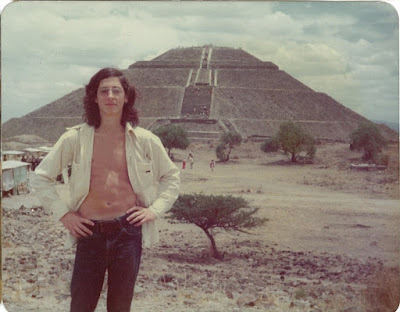 But later in life, my father told me the real story. Upon reaching the Indiana coast at about 800 feet up, he needed to find a landing spot fast. Feathering the right engine had not subdued the raging fire that had now spread to the wing. Sensing he would not be able to reach the airport, he decided on a short stretch of pavement next to a building, not enough space for a gear-down landing. With gear up on final approach, he faced one more obstacle—telephone wires! He hopscotched over the wires and bellied the plane into a rough but safe landing. He exited the aircraft without a scratch in the parking lot of Clark Equipment Company. Dad also told me of a night flight during his bush-pilot days in Alaska. He was running low on fuel in his top-wing single engine. Landing strips in the Alaskan wilderness were often vacant at night. Pilots would turn on runway lights from the air by radio frequency. He knew he was near the airport, but after repeated attempts, could not activate the runway lights. Swooping low under a quarter moon, he located the runway and landed in darkness. When I was a young boy on long car trips, our family liked to play Geography. The rules were simple. From a category of states or cities, the object was to name another that starts with the last letter of the previous one mentioned. 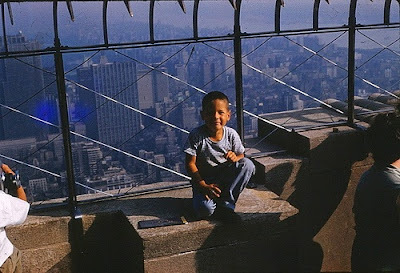 Years later the thought crossed my mind that he had likely flown over many of these states and cities. He would also quiz us on things such as the distance from the earth to the sun and moon, and the relative size of the nine planets. On the deck of our beach house, the Michigan night sky lit up with a spectacular view of the Milky Way, stars, planets and galaxies. He would point out Orion, other constellations and planets. He made a particular point of showing that the cup of the Big Dipper pointed directly to the North Star and explained why Polaris did not move much in the night sky. He wanted his boy to know about the universe, but also how celestial bodies were practical navigational tools for pilots, and that latitudes could be accurately determined by the position of the moon in the sky. Cross-country flights to Florida, a seaplane flight to the pink sands of Eluthera Bahamas, quick trips to and from Meigs Field on Chicago’s waterfront, all provide special flying memories. And though I was the only member of my family not to have soloed, my flying memories keep me stocked in the kind of joyful recollections usually reserved for experienced certified pilots. 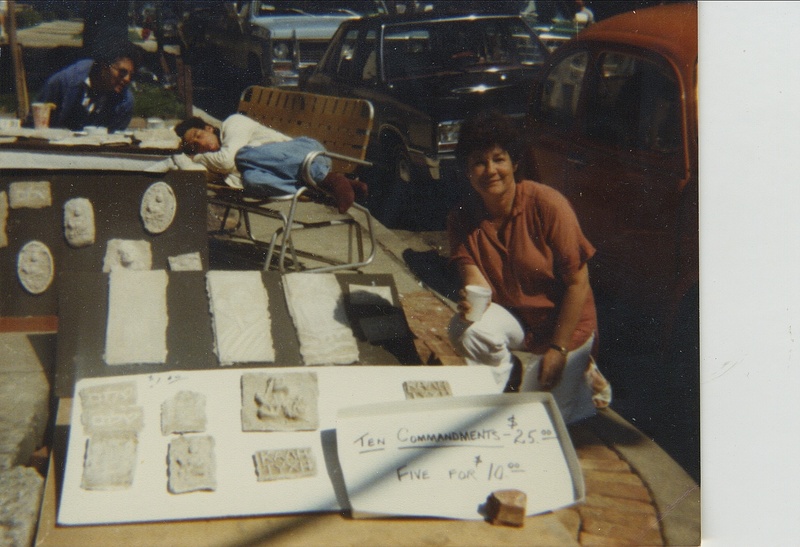 She also worked as a legal secretary in the 1940s, and again in the 1970s, cranking out legal briefs and other documents on her IBM Selectric II. I once walked into her attorneys’ office suite in downtown Chicago sometime in the late ’70s. I heard a buzzing noise that sounded like a small caliber Gatling gun. But no, it was just my mom typing. “How fast do you type mom,” I asked. “120 words per minute,” she said with a beaming smile. I still have her typewriter--one of my most prized possessions. She soloed in a Piper Cub, but didn’t pursue flying beyond that. Mom with her sand sculptures (about 1980). Many years ago, my father provided a flying experience that few “non-pilots” can claim. He let his 15-year old son take the controls, after takeoff, of a loaded Baron for the entire 300-mile flight to Carbondale Illinois, only taking the controls back well into final approach. The airplane was equipped with Autopilot, so dad spent ten minutes to demonstrate how it functioned. It was good to see how it worked, but was excited to have it disengaged and the controls back in my hands. The confidence I gained from that carried over into other pursuits and served me well in ensuing years. During the summers of my teenage years, I washed and waxed private aircraft, a great way to pick up a hundred dollars on a Saturday--good money for the times. My father passed away 15 years ago, having accumulated over 20,000 hours in the air. From the Alaskan bush to business purposes and personal family trips, he fulfilled his flying dreams. As a kid, I took flying somewhat for granted. It came with the territory. But looking back on it, it was anything but ordinary. It was extraordinary." videos if you love airplanes! "Boeing produces over "52" B-737 airplanes a month! That's about one every 18 hours. How do they do it? A train arrives with the fuselage (main body section) in the morning. That starts a moving production line process that results in a completed plane, ready for flight testing, about 18 hours later. This 3 1⁄2 minute video shows the entire process, is truly fascinating." "With the power of the pen and the truth in fiction we can create change." Join Us on Face Book! My writing reflects my opinion and not that of my employer. Please do not reproduce it or use it without permission. The Adventure Ends... or does it? To improve aviation safety through education, inspiration, and sharing the gift of flight. 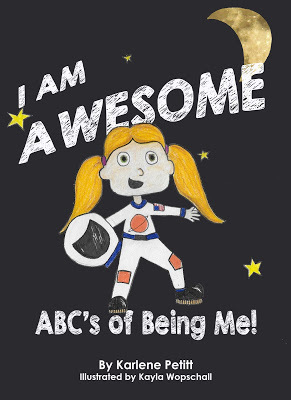 To support writers, pilots, family and friends, encouraging everyone to believe in and reach for their dreams. Getting There is Half the Fun! Sherlock Holmes Flies Planes Too.